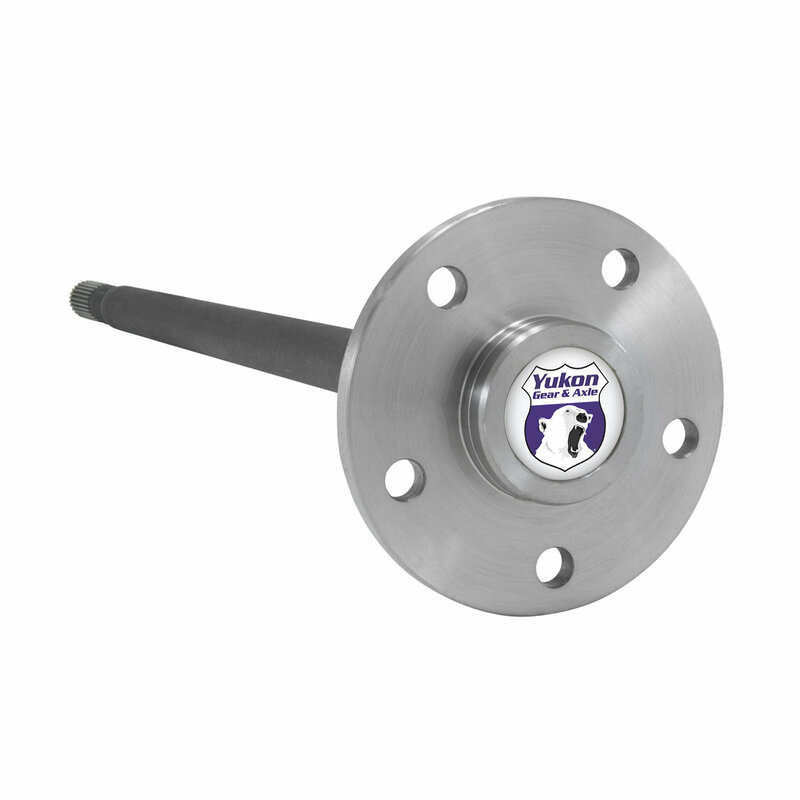 Yukon Gear & Axle Heavy Duty Axles for Jeeps are superior to factory axles due to their alloy composition. These alloys and the heat treating process they undergo create a stronger shaft suitable for handling larger tires and off-road abuse with confidence. These axles need to be paired with an electronic or air locker to accommodate the larger diameter and greater spline count. Please Note: These are a bolt in style Dana 35 rear axle (NOT C-clip style). Passenger side (Right) Axle Length - 29"
Driver side (Left) Axle Length - 30.5"
Premium Heavy Duty Axle: Forged from 1541H Alloy Steel which is heat treated for strength & durability. Making your Jeep Dana 35 Rear Axle 25% stronger than the factory (1040/1050). Also made with premium rolled splines, which gives a 30% increase in strength over original style cut splines.